MAN 33.400 TGS, 20 m³., Stahl, Klima, 10x am Lager! 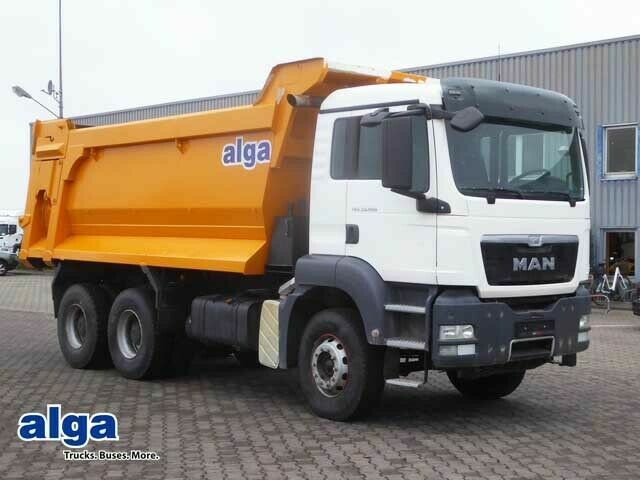 The list of MAN TGS tipper offered for sale in our catalog is constantly increased. The vehicle was manufactured in 2016. Engine/driveline: Euro 5, diesel, 400 hp, gearbox: manual. Wheel formula and suspension type: 6x4, number of axles: 3, ABS. Cab comforts include cab type: day cab, air conditioner, cruise control. Body: loading length: 5200 mm, loading width: 2280 mm, loading height: 1700 mm, loading volume: 20.00 m³.